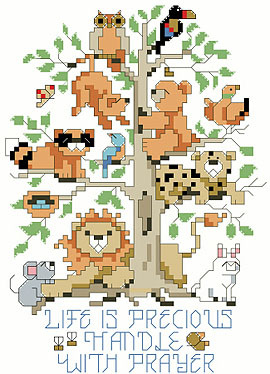 ‘Life is Precious. Handle with Prayer’ is a caring message. Some wild and some not so wild critters are living together in Earths fragile environment. We can bring a bit of nature’s fauna into our home; if only on our walls.